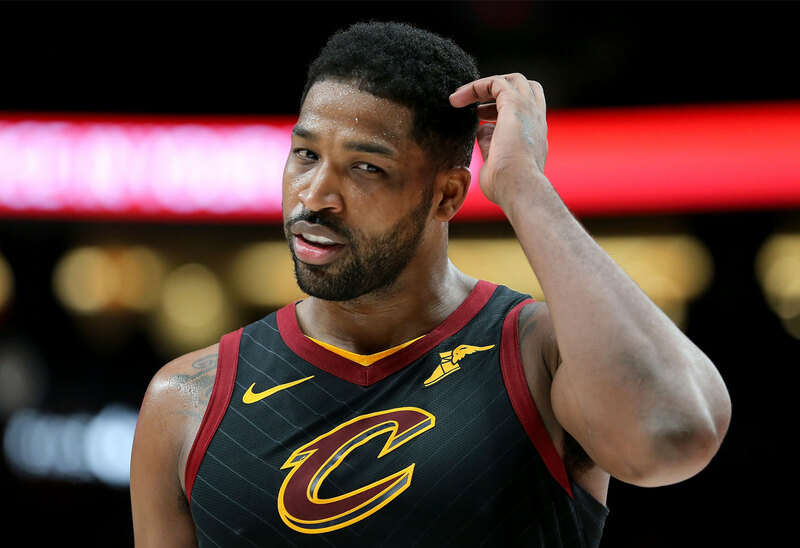 If Tristan Thompson is sorry for cheating on Khloe Kardashian with Kylie Jenner’s best friend Jordyn Woods, he’s not letting that stop him from having a good time. Click through the gallery for all the info on his night out on the town and the mystery woman he was with. Tristan, 27, shared glimpses of dinner on his Instagram Story. He posted a video of him and his friends toasting each other with red wine at Carbone restaurant in New York City. He also posted a photo of his plate of pasta, in which a woman’s hands were visible across the table. He later deleted the photo. Outside the restaurant, photographers caught a mystery woman who went to dinner with the Cavaliers player and his friends. She wore leopard print leggings and stiletto boots. As Star readers know, Tristan cheated on Khloe, 34, with Jordyn, 21, on February 17. The indiscretion finally led Khloe to cut the cord and break up with him. This wasn’t the first time Tristan had cheated on Khloe. He was infamously caught with another woman just days before Khloe gave birth to True in April 2018. What do you think of Tristan’s night out? Sound off in the comments!